This music based on the Sheafs album’s style, but became more dynamic and structured. The main composer is Tamás Barabás again. Ben Castle took over the role of saxophone player on the recording in the studio.Djabe, the Hungarian Music Award, eMeRTon and PRinceAward winners band, which has become one of most popular Hungarian invited bands to foreign festivals in the last years, has published its new CD. The band has further improved the sound of the successful Dancing Sheafs. The listener can hear a more dynamic material with more momentum. Next to the usual Djabe band’s lineup, its’ English music friend, Ben Castle (Sting, Marillion, Jamie Cullumn) can also be heard. A further colourful patch of the CD is the closing piece, which is played by the Echo String Quartet.Apart from two songs, the whole of the album was composed and arranged by the bass guitar player, Tamás Barabás.The new album is available only on CD for now, but by February 2006 the DVD-Audio will come out, too.The new album will be presented on a country tour between 24th February and 4th March, 2006. The Budapest concert is on 3rd March in the Petőfi Hall. What makes a band a good band? Its music has to be honest, can give something to the audience. Has a tendency to be original, but its’ only aim should not be separation at all cost. The members should be masters of their own instruments with a musical education background; musicians who can professionally perform anywhere and in any circumstances. They should be inspiring towards each other not only as an artist, but also as private people as the unified sound of a band is not the simple sum of the instruments, but it is the musical synthesis, which raises the experience of playing in a band to a higher level.A good band is able to revive but in a way, that it can deliberately keep its’ previous basic values of music and with saving them, refresh them. 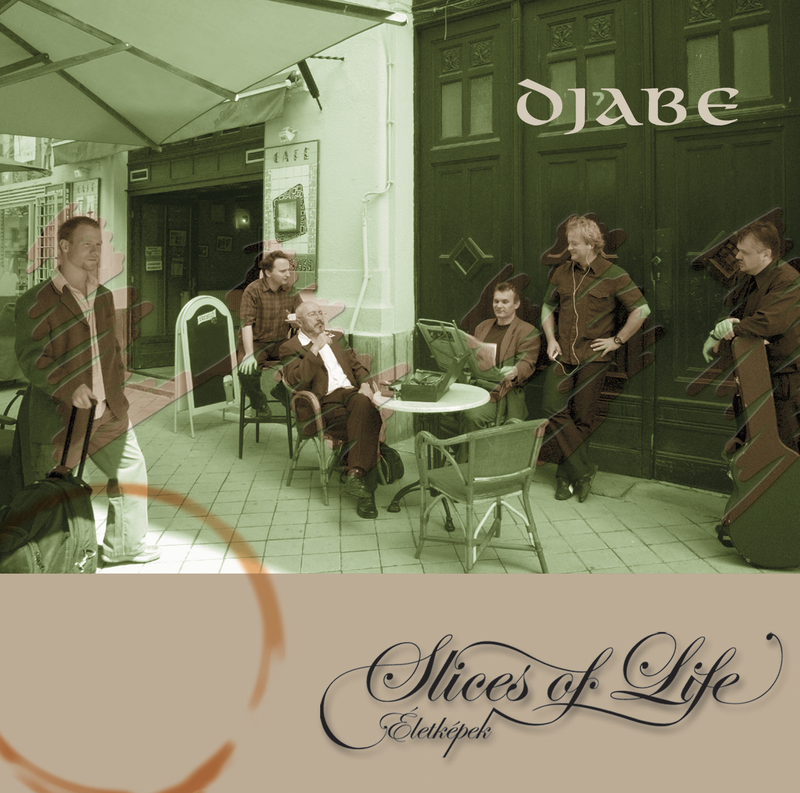 This is the reason, why Djabe is a good band, as it is able to meet these demands.I write about the latest CD (Slices of life) of the band in the spirit of maintaining the existing values and also refreshing the music. I feel, even after several sessions of listening, and what is more I feel to a continuing greater intensity, that with this album Djabe has once and for all made it to the international front line. As far as I am concerned Djabe was already there anyway, but after this CD even those who were making faces before will have to admit defeat and replay it. This record reflects freshness, momentum, intellectual demand and professionalism in the best meaning. After even the first beat of Doromb it is clear for the listener that he has found an extraordinary piece of music material. The original introduction is followed all the way through by vibrating joyful music, beating, dynamic.To sum up, Djabe can be happily congratulated for this excellent musical performance. Through the personal touch as well, the music atmosphere of Dancing Sheafs is definitely lyrical and especially intellectual. It has certainly set the standard, to a very high level. With this new music material the band has managed to step forward once more. The direction is right, heading for world renown! The cover of the album was made with fine taste, for it fits finely to the music content of the CD.